After a spectacular live stream from CarnivalTV.net, viewers were left not knowing who placed in the international Soca Monarch competition last Saturday night. 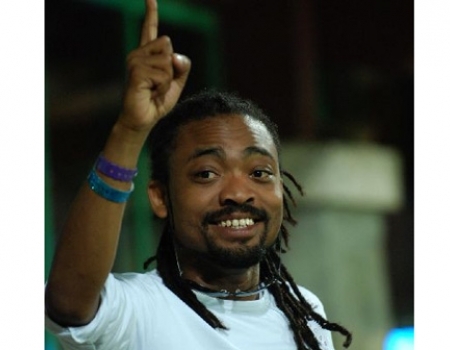 Later we got reports via the official Soca Monarch FB page that Machel ha done it! He won in both the Power and Groovy categories with "Pump Yuh Flag" and "Mr. Fete" respectively. Now the Trinidad Express reports that Machel Montano has taken Soca's remaining top honour, Road March! "Pump Yuh Flag" was played 233 times over the Carnival Parade in T&T to win the crown. Machel was followed by Fay Ann Lyons "Miss Behave" which was played 96 times and Iwer George's "Jab (No Pain) which recorded 84 plays. i THINK THAT THE BEAT TODAY IS REALLY BAD. DREW SHOULD PROMOTE BETTER MUSIC INSTEAD OF JOINING THE MAINSTREAM BY PLAYING THE CRAZY "MUSIC" THAT DISGUISES AS CALYPSO. THE MUSIC HAS NO RYTHMN WHICH IS ON MAIN CHARACTERISTIC OF GOOD SOCA MUSIC. KITCH MUST BE ROLLING OVER IN HIS GRAVE. THE MUSIC TODAY IS ONLY DRUMMING NONSENSE. COME ON PEOPLE WHERE IS YOUR SENSE OF GOOD TASTE. Thanks for your comment. The reality of the matter is that what is popular today is not always accepted by traditionalists. For example original "Soca" artists, like Kitch were not always accepted by other"Calypso"/Kaiso artists. Also remember, because you don't like it, doesn't always mean that it isn't Good. For example: I will never go to a "Country Music" Party. That doesn't mean that "Country" isn't any good. Its just not for me. Its even a fight for most Caribbean people to approve of any music other than reggae. Believe me, I've tried playing Kitch to a reggae audience to no avail. I'm always open to playing what is "Good"; what makes me move; and most importantly as a DJ, what the public wants. Right now, fortunately for me, I fit into what you consider "mainstream". I genuinely enjoy the music that is coming out.